The Mississippi Market Bulletin is your best source for information regading machinery, equipment, livestock, poultry, plants, seeds, or just about anything related to Mississippi Agriculture. When you subscribe, this wealth of information will be delivered directly to your door 24 times a year and it’s only a click away! This registration suite allows you to manage your Feed, Fertilizer, Lime, and Soil/Plant Amendment Permits in an easier and more cost efficient way. By taking advantage of this convenient online application, you may process your registrations, renewals, and report tonnage online. This registration system allows you to manage your seed permitting and inspection fee reporting in an easier and more cost efficient way. By taking advantage of this convenient online application, you may process your registrations, renewals and pay inspection fees online. This service allows you to pay various agency regulatory fees and fines. 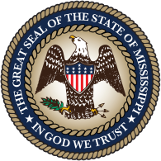 To pay online, please request an invoice number by contacting the Mississippi Department of Agriculture and Commerce at feesandfines@mdac.ms.gov. This web-based portal allows over 2,500 businesses to register their retail food establishments with the agency and apply for and receive their Mississippi Retail Food Sanitation licenses online. Download the mobile app to find Mississippi’s freshest seasonal fruits and vegetables, learn about growers and market vendors, search for restaurants using local produce, view planting guide and other farmers markets, and much more! Download the mobile app for the latest updates and more information on rodeo events, tickets, concerts, livestock shows, and much more! Download the mobile app for the latest updates and more information on fair events, concerts, livestock information, weather alerts, car finder, and much more! Download the mobile app for the latest updates and more information on Agritourism sites and nearby markets, restaurants and bakeries with local produce, venues, farm operations, activities, and much more!